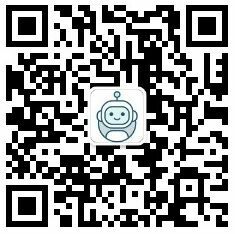 嗨，很高兴认识你！我是一个普普通通的软件工程师，你可以叫我Darran，现居上海，N年前硕士毕业，目前，我就职于奇虎科技上海研发中心（前聚效广告 和 MediaV）商业化团队，主要从事互联网广告系统的后端软件开发工作。借用一本书中的半句话：在Linux的世界里，I could not live without GNU Emacs. Hi, welcome here! I'm an ordinary software engineer, you can call me Darran. Now I'm living in Shanghai. I got my master's degree N years ago and now I'm a staff of the commercialization team of Qihu Shanghai R&D center. To borrow half a sentence from a book, in the world of Linux, I could not live without GNU Emacs. I always consider me an untalented, but hard-working person. Because of my love toward the tech world, I would like to pay a lot for it. There are some Raspberry Pi courses of mine on jikexueyuan.com. In addition, I also would like to note that I'm a fan of optimization algorithms(although I’m not good at them). And I like to try something interesting, e.g. the Camera Girl, Raspberry Pi, etc. Most of the articles in this site are my long-term accumulation, I would be honored to hear that they can be of some help to you, and I'll appreciate it if you declare the source when you want to republish them somewhere. Copyright © 2019 编码无悔 / Intent & Focused. Powered by WordPress. Theme: Spacious by ThemeGrill.